Growing your own grapes is a rewarding hobby whether you’re a wine enthusiast, want to can your own jelly, or just want a shaded arbor to lounge under. 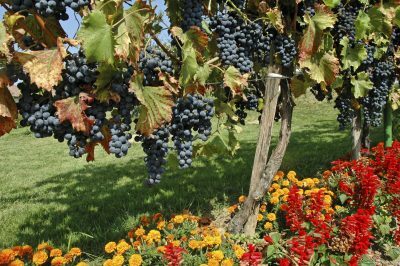 To get the healthiest vines that produce the most fruit, consider companion planting with grapes. Plants that grow well with grapevines are those that lend a beneficial quality to the growing grapes. The question is what to plant around grapes? 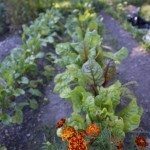 Companion planting is an age old art of planting different plants in close proximity to each other to benefit one or both. There may be mutual benefits or only one plant may profit. They may repel pests and disease, nourish soil, provide shelter to beneficial insects, or shade other plants. 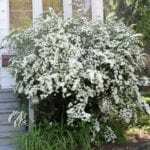 Companion plants may act as natural trellises, retard weeds or help retain moisture. There are a number of plants that grow well with grapevines. Be sure to choose companions for grapes that have similar growing requirements. 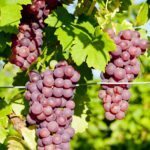 That is, grapes need full sun with warm to moderately warm temperatures, consistent water and well-draining soil, so their companion plants should too. In the case of hyssop, bees love the flowers while the rest of the plant deters pests and improves the grape’s flavor. Geraniums also repel pests, such as leafhoppers. Blackberries provide shelter for beneficial parasitic wasps, which also kill leafhopper eggs. Clover increases soil fertility. It is an excellent ground cover, green manure crop and nitrogen fixer. Legumes act in much the same way and can give you a second vertical crop yield by planting them once the grapevines are established. The beans then trellis up through them. Grapes don’t just get along with herbs and flowers. 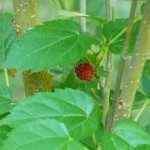 They do well planted under elm or mulberry trees and coexist peacefully. Note: Just as people don’t always get along, such is the case with grapes. Grapes should never be planted near cabbage or radishes.